Windgate Ranch is a guard-gated community built by Toll Brothers. 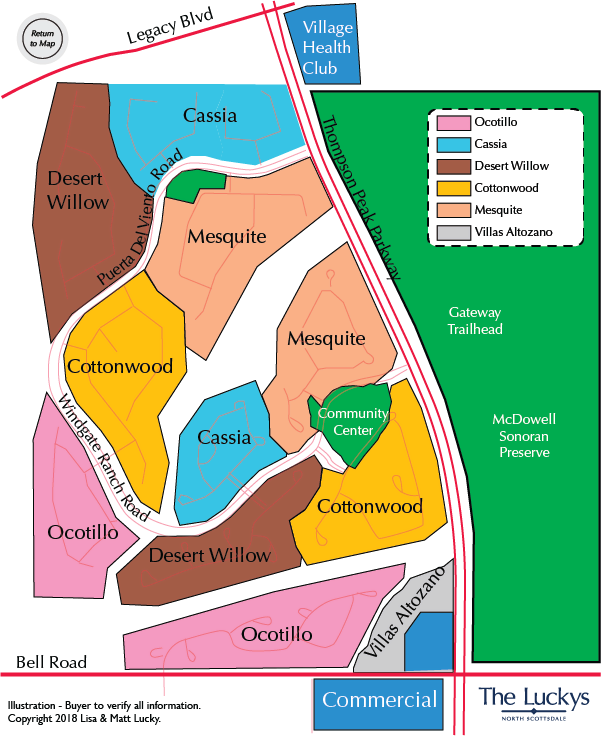 Windgate Ranch features five different collections (Cassia, Desert Willow, Cottonwood, Mesquite, and Ocotillo) of approximately 700 homes, all semi-custom, and all built in the Hacienda style, many with courtyards and balconies. Windgate Ranch offers many resort-style amenities, as well as a 10,000-square foot clubhouse. There are three pools, tennis and basketball courts, and a teen center, with video games. Across the main guard gated entrance is the Gateway – the largest trailhead for the McDowell Sonoran Preserve which is 30,000 plus acres with miles of hiking, and mountain biking trails. See all Windgate Ranch New. See all Windgate Ranch Sold.